DLSZ Cultural Affairs Office hosts a summer theater for Grades 4 and up! It will be a fun summer of Movement, Music, and Adventure. A workshop by alumna, Ria Ortega, a workshop instructor, director, writer, actor, and singer. She pursued her passion as a performer with Repertory Philippines, Actor’s Actors Inc., Ephesus Teatron and Make Believe Productions. She, with co-moderator alumni Meynard Penalosa, is actively involved in production and stage management, acting and vocal coaching in the theater industry. 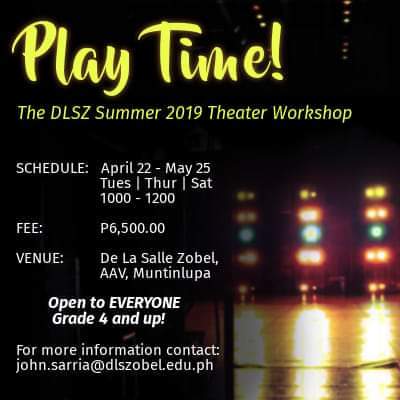 The workshop is open to DLSZ and Non- DLSZ students. 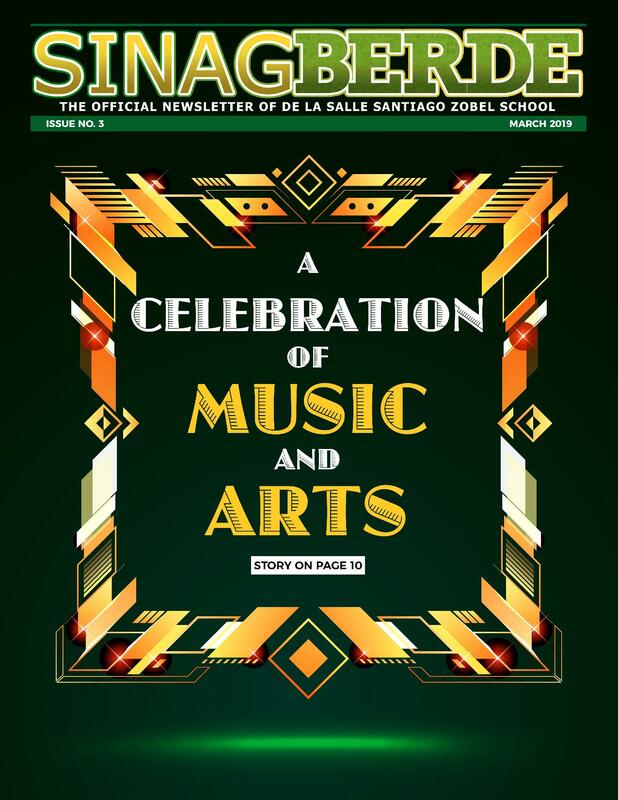 Interested parents/guardians may call us at 771-3579 loc 123 or email us at john.sarria@dlszobel.edu.ph. Classes start on April 22!